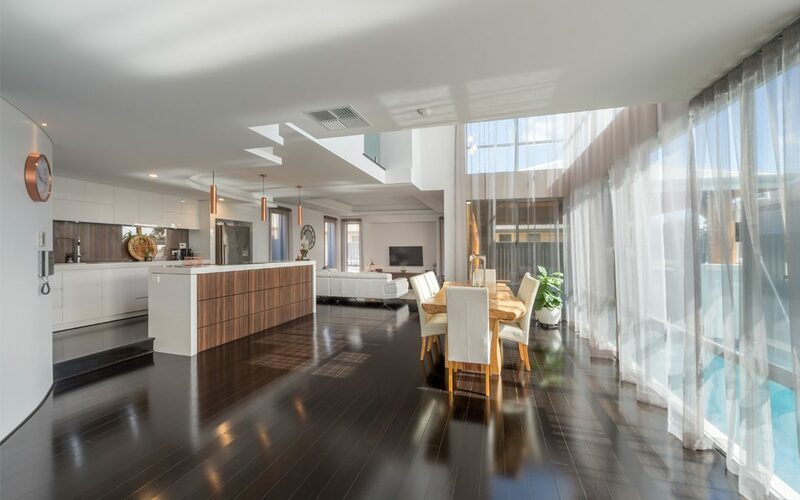 Designed and built by Da’Vanti Homes, this striking home boasts modern features with Asian influences. 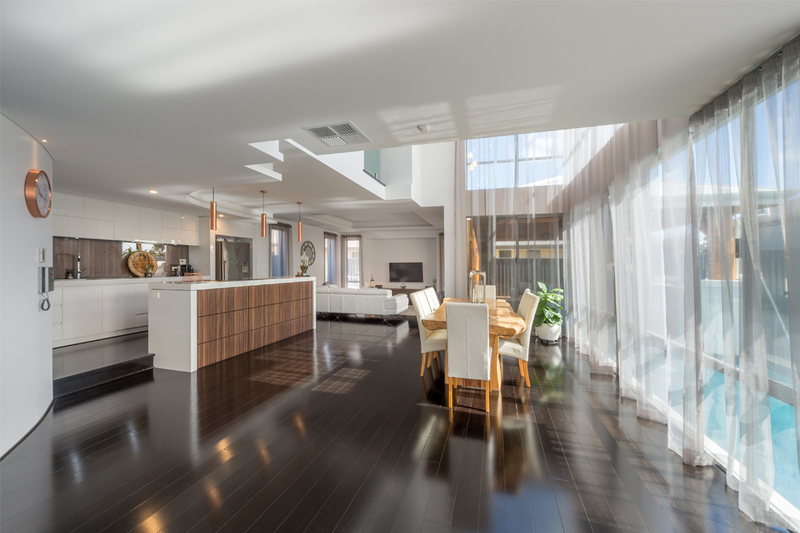 Architecturally designed trough ceilings, a raised kitchen area and an expansive outdoor entertainment area with opening bi-fold doors are all core features of the beautiful resort-style residence. Vincenzo Franco, owner of Da’Vanti Homes and the homeowner of this project, wanted something with a point of difference from everyone else. He wanted his residence to feel like a resort, but more importantly, it needed to be the ultimate entertainer. 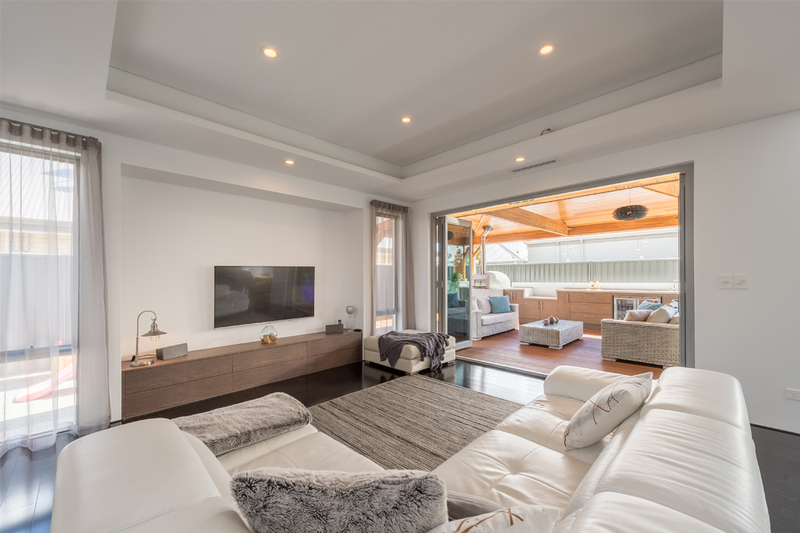 Built on a small 390m² block with a 13-metre wide frontage, Da’Vanti Homes utilised 60 per cent of the property’s space by designing the outdoor area as a separate entity with more than three open sides. The entire area is fully covered and waterproofed, which guarantees year-round opportunities for entertaining. 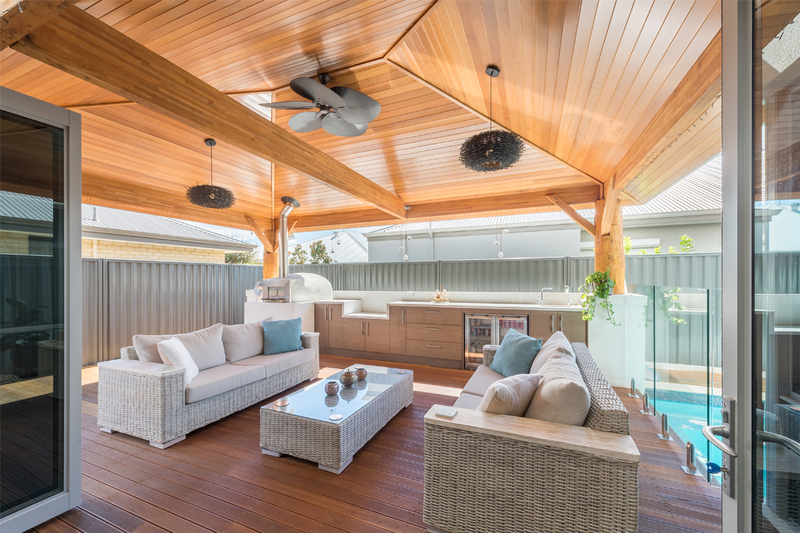 Based in Perth, Da’Vanti Homes is a custom building company that specialises in double-storey construction. The family-run business has amassed more than 40 years of combined industry experience, which spans over two generations. Its turn-key building process has proven success and has been perfected over many years, and the Da’Vanti Homes team have helped thousands of happy clients build their dream home. Da’Vanti Homes offers a comprehensive range of services, including drafting, design, custom-built single- anddouble- storey homes, apartments, townhouse and rear-lot developments, as well as house and land packages. The company understands homeowners’ wants and needs, so when clients build with Da’Vanti Homes, they will receive a personal building consultant to guide them through the entire building process at no cost. All of life’s special events and occasions can be celebrated in style with family and friends under a perfectly pitched Da’Vanti Homes roof!